Sydness Architects is pleased that the St. Regis Shanghai Hotel is featured in this publication. This book brings together more than one hundred outstanding projects from around China, none of them completed earlier than 2000, and some still under construction or being planned. It includes all building types, from private residences to colleges, shops and offices, and from opera houses, theatres and museums to exhibition halls, hotels and airport terminals. It also features winning competition schemes for the Beijing Olympic Games in 2008. The work of local practices is represented alongside that of larger, well-established architects, and all projects are accompanied by plans and colour illustrations. 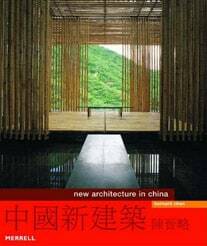 An informative introduction traces the development of modern Chinese architecture and considers the contributions of renowned foreign architects and China’s own leading talents such as Yung Ho Chang, Liu Jiakun and Qingyun Ma. This book will appeal to anyone interested in China’s future at the forefront of contemporary architecture. Library Journal It just could be true what they say: China may well turn into the next world superpower. Just look at the stunning new architecture popping up everywhere. The 100 buildings described here by architectural critic Chan-all built at the turn of the century and many still in construction-attest to this country’s rapid emergence as a force to be reckoned with. Copyright 2005 Reed Business Information. Sydness Architects design for three buildings in Shanghai are included in this publication. They are the Bading Development Finance Mansion, the Lujiazui Itochu Development Building, and the Shanghai United Bank Tower. 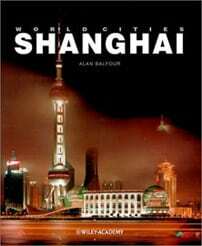 In the last decade Shanghai has been transformed into a city of world significance. Its speed and ambition are hardly equalled in history. Understanding this and the historical context within which it has taken place is in the best interests of the Western world. The nature of this reinvention is on the surface so crude and expedient that it must be treated very carefully to appreciate fully what has been achieved. It is much more than what superficially appears to be vulgar display of what is facetiously called ‘market Leninism’; it has drawn on all the imagination of the major corporate powers to form the stage for a future Chinese industrial dominance in Asia and beyond. All this is being embedded and supported in an explosion of building of unprecedented scale and ambition, as demonstrated in this book. Shanghai: World City showcases the most significant recent buildings, ongoing projects and possible future developments in this, one of the world’s most fascinating and culturally complex metropolises. One of our Florida projects, the Florencia in St. Petersburg, is included in this publication. In terms of skyscrapers, the twentieth century was the century of the commercial skyscraper. The twenty-first century may well become the century of the residential skyscraper and “sky-high living” a way of life for many. The tall residential architectural market has dramatically changed in the last 10 years. We are now discovering more and more super-tall residential projects, some as tall as 70 or 80 stories, but more immportantly, the overall scale of these projects is now reaching levels seldom seen before in both residential and commercial building design. Tall buildings can now be found in places other than well-known vertical cities such as Chicago, New York City and Hong Kong. 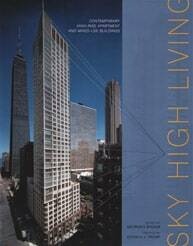 Sky High Living not only features a selection of major contemporary residential and mixed-use projects, including the John Hancock Center in Chicago and the Galleria in New York, but also recent tall buildings designed for living. Among these are the recently completed 72-story Trump World Tower in New York City, currently the world’s tallest residential tower, the 67-story Park Tower in Chicago, the 50-story Le Park Tower in Buenos Aires, the 69-story Summit in Hong Kong, the 43-story Horizon in Sydney, and the 32-story Schielandtoren in Rotterdam. In addition there is a preview of about 50 of tomorrow’s significant projects, which are currently under construction on different continents. All in all, many of these projects have never been published. Sydness Architects is pleased that both our Lujiazui Itochu Building and the St. Regis Shanghai Hotel have been selected to be a part of Tall Buildings of Asia and Australia. The history of the Asian high-rise building can be traced back to 1935, with the Bank of China in Hong Kong and the Broadway Mansions in Shanghai. From 1950, Hong Kong became one of the few cities in the world at the time, together with New York and Chicago, to develop itself intensively towards the sky. 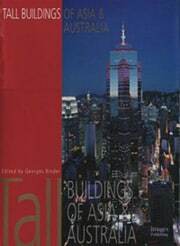 Since then Asia boasts some of the most impressive and tallest buildings in the world. With few exceptions, the Asian skyline did not see a postmodern era comparable to the United States in the 1980s, nor are there many pre-war high-rises in Asia – the ones that brought the timeless character to the American city. The high-rise buildings found in cities such as Hong Kong, Singapore, and Tokyo are generally designed following a modernist vocabulary, which creates very different skylines to those in the United States. These familiar skylines remain the reference, but for how long? Other major cities such as Bangkok and Kuala Lumpur have produced projects with more regional imagery. Regardless of the 1997 Asian economy crisis, it is Asia that now leads the world in terms of skyscraper production, just as it has for the last decade. The Lujiazui Itochu Building in Shanghai has been selected to be a part of Skyscrapers: The New Millennium a book and traveling exhibit on new skyscraper designs. 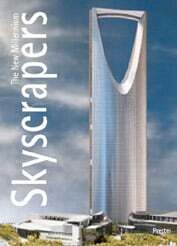 The skyscraper, today’s dynamic and technologically versatile tall building type, is a speculative venture turned adventure at the start of the new millennium. Skyscrapers: The New Millennium illustrates the most recent developments in architecture as a metaphor for humankind’s ever higher-reaching aspirations in concise texts accompanied by colorful and informative illustrations. This volume looks not only at economic and political trends that make or break building projects, but also aesthetic and technological innovations as computer aided design paves the way to ultramodern drafting and modeling. Whether risky speculative projects, high-tech “green” architecture, or fantastically unusual forms, this survey of more than 70 skyscrapers from all over the globe tells the story of where architects are today, and the heady high-rise schemes they are shaping for tomorrow. The volume also features informative biographies of architects and firms, a list of selected readings and websites, and an index of architects, buildings, and their locations. John Zukowsky is Curator of the Department of Architecture at The Art Institute of Chicago, and has written several books on architecture, including Chicago Architecture and Design and Building for Air Travel, also published by Prestel.